For busy work weeks, I love breaking out my secret weapon...the slow cooker! There is nothing easier than dumping my favorite keto foods into a crock pot and not having to worry about the rest. The result is always the most tender, delicious protein. It is almost too good to be true. Luckily, these keto slow cooker short ribs are true! 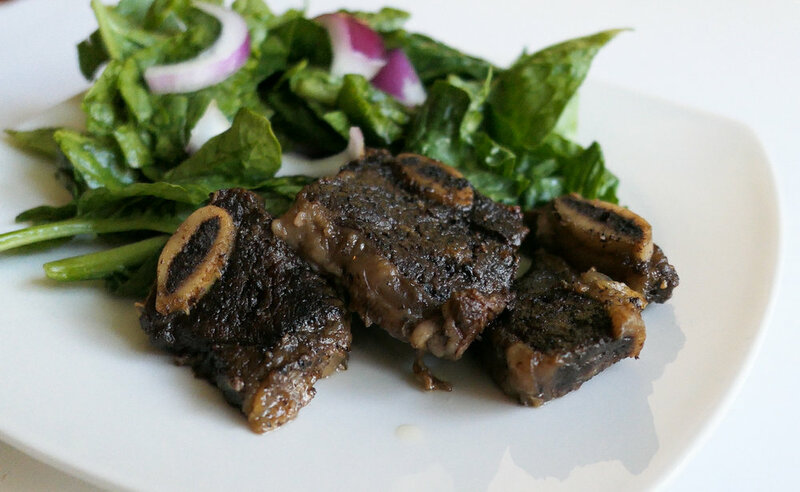 I love my keto slow cooker short ribs because it is the perfect, effortless dish. Cooking these ribs in the crock pot gives me fall off the bone meat that is to die for. You will be amazed that such a delicious meal can be made with so little work! Cut Short ribs with kitchen scissors leaving one bone per piece. Cook on low for around 5-6 hours or until very tender (length will vary depending on slow cooker).